The Houston Rockets have been eliminated from playoff contention. The Golden State Warriors came back from an 11-point lead on the road at halftime in a game 7, something that has been effectively impossible historically. 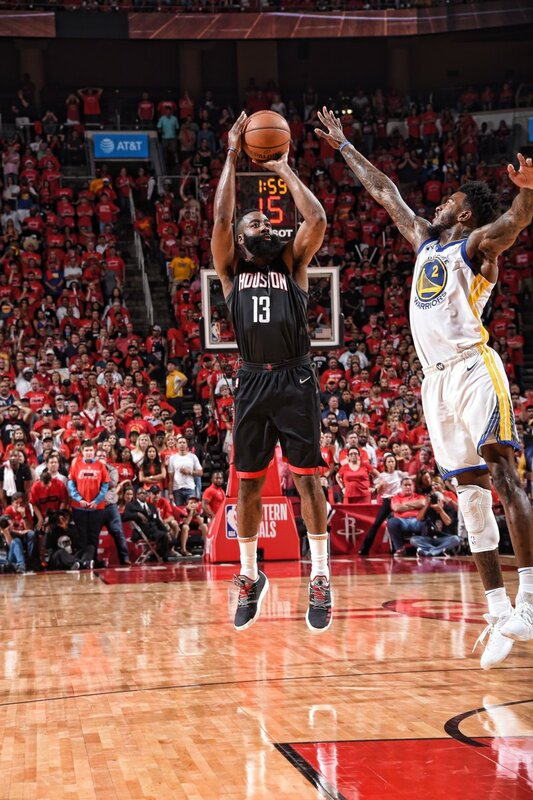 The Rockets chipped in some history of their own, missing 27 three point attempts in a row, the largest streak of this nature in playoffs history. It was agonizing, heartbreaking, miserable and inconclusive. The season is over, and the Rockets are now left wondering what, exactly, they could have done differently. The worst part for them is that the answer really might be "nothing." Chris Paul played 0 minutes and logged 0 stats due to the hamstring strain he suffered late in game 5. In a game in which the Rockets couldn't buy a foul and were incapable of making an open three, his midrange prowess and steady hand would have been everything for them. Unfortunately, he was unavailable. Unfortunately, a lot of things. This game defied analysis as the Rockets shot 7-44 from three point range for a truly dismal 15.9%. The Rockets were clearly gassed, but even that can't explain that many clanks on open looks. Perhaps a deeper rotation would have helped, but when head coach Mike D'antoni tried to lengthen the bench, the results were spotty at best. Against another team, any team with fewer than 2 MVP winners, things would have gone differently. But they didn't go differently. No, things were frustratingly similar to game 6, with the same early 15-ish point lead for the Rockets and then a brutal third quarter that sealed the game. The Warriors are utterly confident in their game plan, and their game plan involves playing poorly for two or three quarters of each game, because nobody has been able to force them to stop. Perhaps they simply build up bad habits and entitlement forever. It will only cost them when a team as good as the Rockets can stay healthy and hit more than one of their last thirty three point attempts. There will be plenty to say about this. As of now, we have all summer. 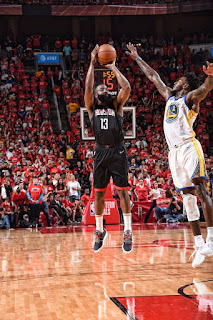 But the long and the short of it is that tonight, when it mattered most, there was simply too much for the Rockets to overcome. They played better and with more intensity and it just didn't matter because of injuries and talent and frustration and chance. There's nothing to say about this game, right now. It's over, and that's all.